Every physicist, and probably every scientist, is faced at least once in a lifetime with the dreaded frase: “That’s very interesting, but what is that good for?” It doesn’t really matter how much your eyes are sparkling while you talk about your subject of research, it will always come, and you better have an answer for that in your pocket and ready to be used. And it’d better be good, since it can come from anybody: from the person seated right next to you in a long-haul flight, to most of your relatives, to somebody that you’ve just met in a party and that will fire away an innocent “what do you do for a living?”, unleashing the unavoidable chain reaction. At the beginning, I always aimed high: I started to talk about our adventure as a species in discovering the ultimate mysteries of the cosmos, and how we have evolved from matter to conscience in this vast and beautiful universe. That did not always work. When talking about the Great Purposes of Science I get the feeling that people think we suffer from illusions of grandeur, and that we think that we’ll save humanity by counting light flashes in a block of ice. Getting “real” doesn’t help either, try convincing somebody that investing (their) millions to build an astrophysical observatory is the shortest path to improve the next generation of CAT scanners. Frankly speaking, spinoffs are very important, and they may be used to highlight some of our collective work, but the reason why we do this is closer to my first attempt to an explanation than the second one. Anyway, let me put my vocational propaganda aside, and present you with this list of things where something as bizarre as cosmic radiation actually plays a role in our daily life, or where it has been found to have some, er, “practical” applications. It seems like in today’s world everything is linked to this topic, and cosmic rays are no exception. The smuggling of nuclear material has always been an important concern to many countries, and there are some ways in which cosmic radiation can help us in preventing it. Cosmic rays are just plain protons and atomic nuclei that get their extravagant name only from their astrophysical origin. As they get to the upper layers of the Earth’s atmosphere, they interact with the nuclei of atoms that make up air producing mesons (pions and kaons.) As these mesons decay they produce secondary particles, among them a huge number of muons, which can get to the ground. This continuous rain of muons from the sky can be used to scan through the contents of, say, a container crossing a border checkpoint. Muons penetrate deeply into matter, but as the absorption length changes with the atomic number of the material, they can be used to spot the presence of heavy elements, something that may indicate the use of some radiation shielding, or fissionable material itself. This technique is called “muon tomography”, and there are companies that are already manufacturing cosmic ray detectors with this purpose. 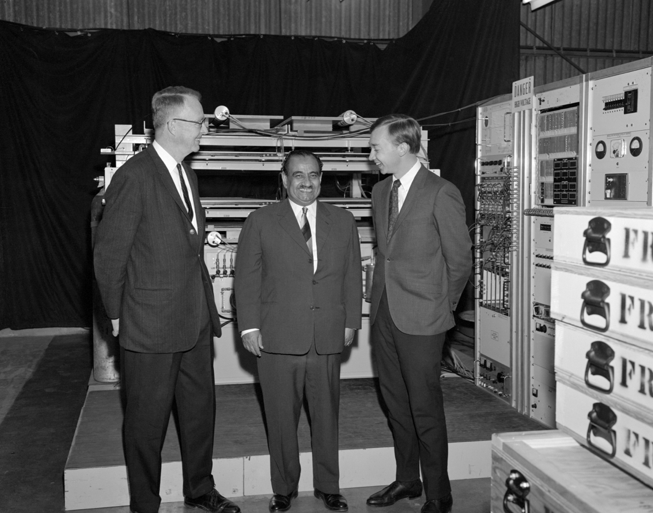 The idea of muon tomography is actually more than 40 years old, and it was proposed by Nobel laureate physicist Luis W Alvarez in 1965 for a very different purpose: the identification of hidden chambers inside the Egyptian pyramids. The experiment involved installing spark chambers beneath the pyramids and then, by measuring the cosmic ray flux in different directions, it would be possible to determine if in any part of the the pyramid there was less matter than there should be, revealing the presence of a then unknown chamber. The experiment, unfortunately, got null results. Muon tomography is still being used today as an archaeological tool to explore other pyramids: a group from the University of Texas at Austin is building detectors to explore Mayan pyramids, while another group from Mexico’s National Autonomous University is using this technique to probe the pyramids in Teotihuacan. What are the hottest buzzwords today after “war on terror”? Oh yes, global warming. And here too cosmic rays may be playing a role. Now, I don’t want to start yet another flame war about global warming causes here, but just point out an interesting possibility. The charged secondary particles produced by cosmic ray interactions in the atmosphere affect cloud formation, and hence may play an important role in the overall radiation balance of the Earth. 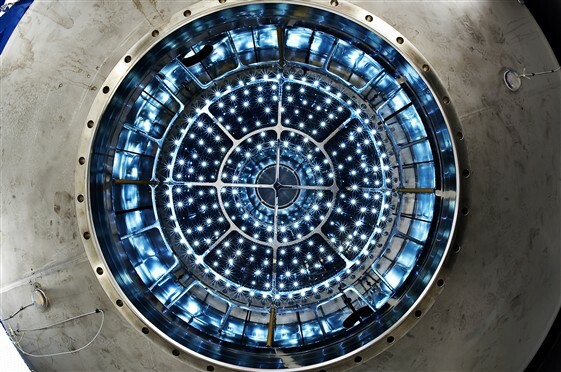 Physicists behind the CLOUD experiment at CERN are trying to determine how important this effect is by emulating cosmic rays using the historic Proton Synchrotron accelerator. The accelerated particles are then sent into a reaction chamber (see image) where the pressure and temperature conditions of the atmosphere are recreated. The interaction between these particles and the atmosphere inside the chamber is analyzed to study the significance of cosmic radiation in the formation of clouds and its impact on global warming scenarios. This is not a minor concern for them, and they have a US patent for a cosmic ray detector that goes into every chip! Most of the times, the glitch produced by a cosmic ray event will go unnoticed, but sometimes they may have drastic consequences. You can check with the passengers of a Qantas flight from 2008 for an example. Apparently, the airplane computers experienced a cosmic ray event causing a malfunction that sent the plane into a series of dives that left several passengers injured. A huge Coronal Mass Ejection event as seen by the SOHO satellite in October of 2003. The dots and white tracks that you see as noise around 0:44s are the results of the interaction between the charged particles from the Sun and the camera on board the spacecraft. Several instruments had to be turned off as a safety measure. In the most violent of these storms, even entire power grids can be affected. The interaction of the solar wind with the Earth’s magnetic field generates rapidly changing magnetic fields that can induce high electric currents in long power lines. Just as an example, in 1989 a geomagnetic storm (which is how these events are called) caused a huge blackout across Quebec. Cosmic radiation amounts to about 13% of the total radiation that your body receives throughout the year, although it changes according to the height and latitude of the place where you live. In principle, the higher you get, the more radiation you receive, so the most exposed group of people to this kind of radiation is the crew of long-haul flights. Even for these cases, the exposure is not high enough to have specific risks associated with it. In this respect, the World Health Organization doesn’t link any specific health effects associated with the exposure to cosmic radiation, although in an info sheet it advises frequent flyers to limit travels during pregnancy.